This page describes how to import a project using the Bazel plugin. You may want to read about the project view format before you import your project. Choose Import Bazel project from the Welcome screen. First, you need to select an existing workspace root (the directory containing the WORKSPACE file). Next, you need to select an initial project view file. You can either start from scratch, use a shared one, or have the plugin synthesize one from a BUILD file. If your project has a shared one this is the easiest option. If you don’t, just create one from scratch or synthesize one from your project’s main BUILD file. Synthesizing works to get started, but you’ll want to tweak it to get more precise imports and better performance. Now you see the project import dialog, which urges you to enter a starting project view (see here). At the very least, you’ll need directories and targets. The directories show up as source in the IDE, and we will resolve the code for anything reachable from targets. 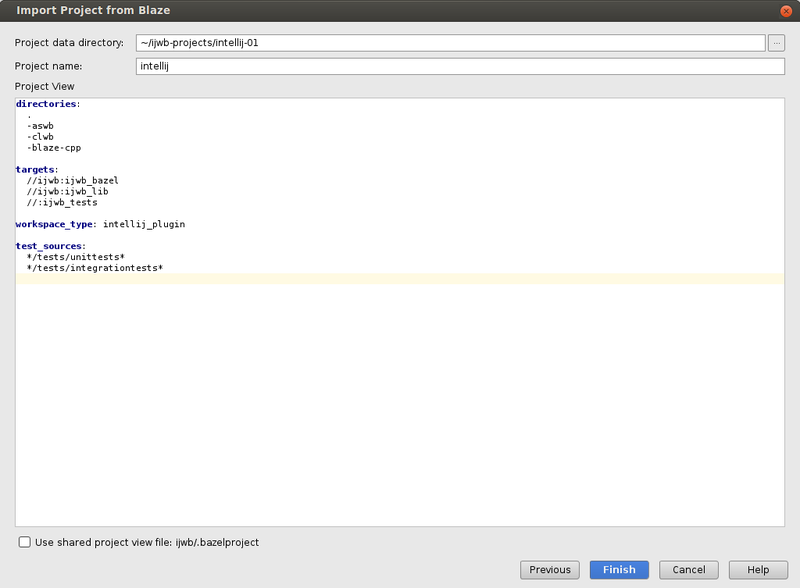 Android Studio projects will additionally require android_sdk_platform. If you want the IDE to automatically create a run configuration to launch your app, add an explicit label pointing to the target you want to run (e.g. //my/package:app_binary). See Run Configurations. If you plan to code in a dynamic language like TypeScript or Dart, check Dynamic Languages for more configuration. Click Finish to import the project into the IDE. 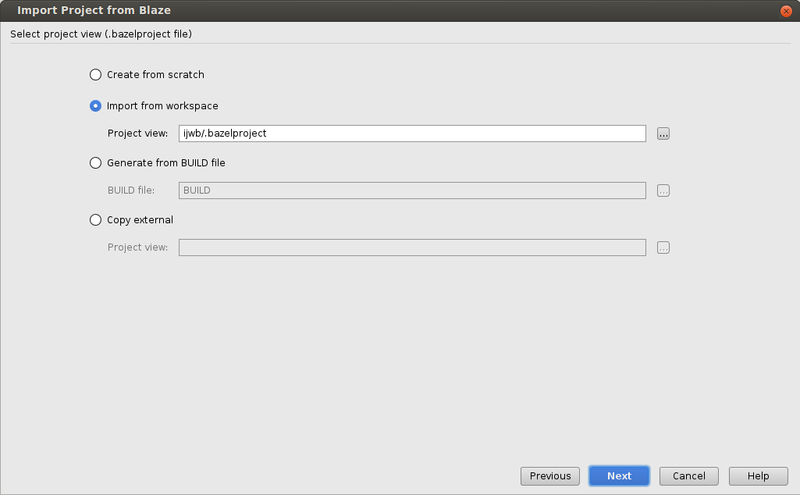 You can edit the project view file at any time after import by selecting Bazel > Project > Open Project View File. After editing the project view file, run Bazel > Sync > Sync Project to pick up the changes.